I've told you before how much I love my green grocer. Shopping for the family isn't easy though, is it? Some weeks you buy too much or not enough of something. Well last week I bought two bags of netted avocados. (That was about 14 avocados). But I thought I was very clever because one bag was almost ripe and the other was very unripe. Strangely, though, they all seemed to ripen at once, leaving me with a dozen avocados and no-one eating them. We had these for lunch today and everyone loved them. Avocado & Salmon Frittata Muffins. Dice onion finely and brown in a fry pan. While that's cooking, scoop the avocado flesh into a mixing bowl. Break in the eggs and combine, leaving chunks of avocado. Stir through the salmon, leaving medium sized chunks. Add cooked onion, chopped dill, lemon and salt and pepper to taste. Grease a 12 hole muffin tray with coconut oil. Scoop mixture into muffin holes and bake for 25 mins. Note: You could blend this mixture more than I have but I like the chunks of avocado and salmon. 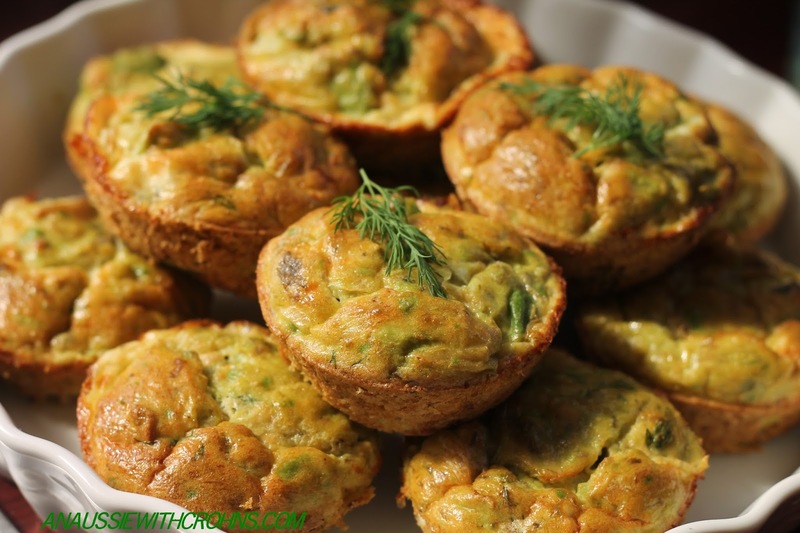 I have been looking at paleo friendly recipes on Chowstalker and each time I find a recipe that sounds appealing I find it is usually one of yours! Congratulations on your creativity and thank you so much for sharing.